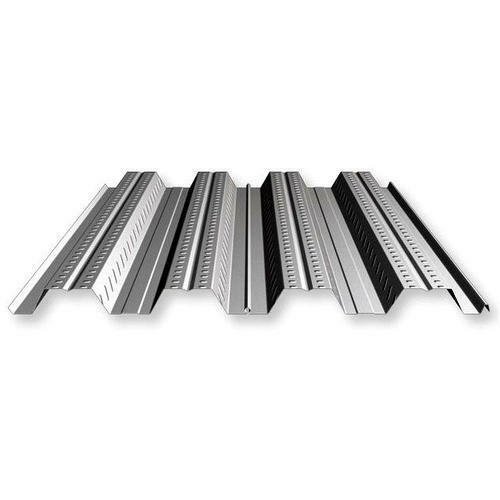 We are leading manufacturer and supplier of the qualitative array of Decking Sheet suitable for different industrial applications and able to withstand extreme weather conditions. Incepted in the year 2013, we, Sivanta Roofing Pvt. Ltd., are reckoned as a distinguished manufacturer, supplier, distributor and trader of an assorted variety of Roofing Sheets, Roof Ventilators, Color Coated Coils, Corrugated Sheets, etc. We have been victorious in meeting the diverse demands of our clientele in the market. Our product range is recognized for robustness, dimensional accuracy, durability, and consistency. Thanks to our expertise in the industry and immense technical understanding, we are able to attain incredible position through our quality products and services. Further, our clientele can choose from varied shapes and sizes of the offered products. Moreover, our prestigious clientele can avail these highly acknowledged products at industry leading prices. We supply our products in a timely manner which is hugely appreciated by our valued customers.